I took my cousin to my Crossfit's intro class and WOD class this morning! She has tight muscles and couldn't withstand the amount of squatting/hinging required but she still did a really good job! If I was totally focused, I think I could've pushed for 4 rounds. But I kind of let myself slow down so I could help explain movements and encourage my cousin. After the total sweat session, we headed out to the City with my brother to see if we could get his phone fixed by Apple. Turns out that they couldn't fix his phone. BUT they just replaced it with a brand new phone! Like, wow??? It was around 2pm and I was starving. I hate having such late lunches! We initially planned to have some Malaysian curry but that required a 20-30 minute walk. 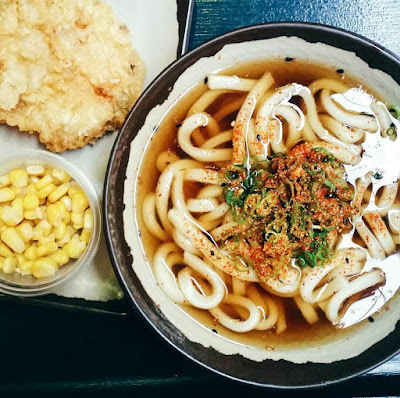 To avoid the prolonged starvation, we settled for something closer - and we chose Mappen (my favourite udon restuarant). 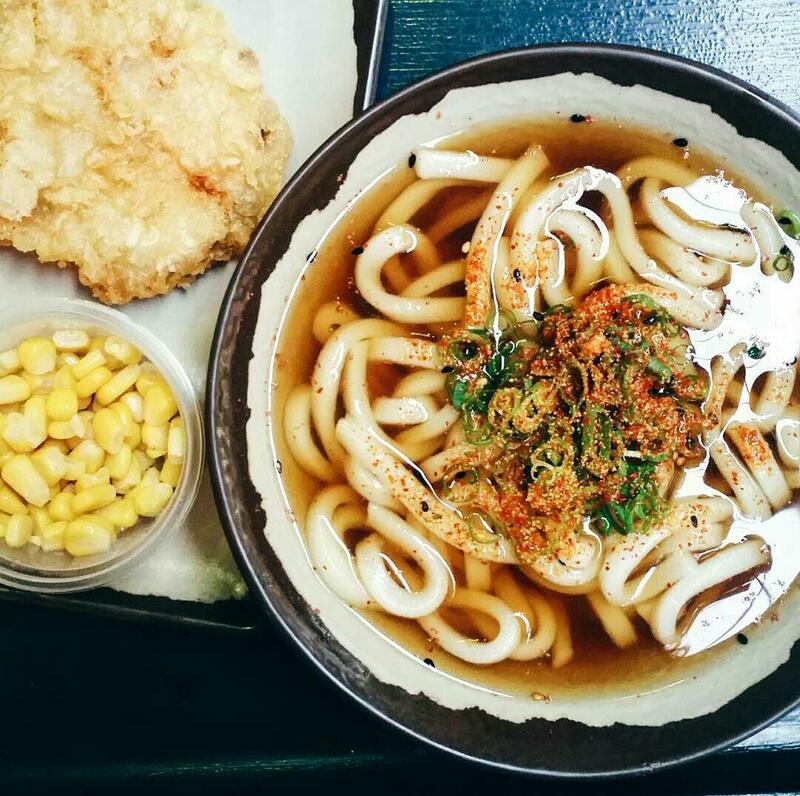 I got the usual kake udon with sweet corn and a tempura sweet potato ($5.70). After we shopped around Daiso and I bought a "loofer"/sponge for a better scrubbing hahaha and also face/wet wipes to wipe of all that sweat after Crossfit. Oh and we also treated ourselves with some match green tea goodness. 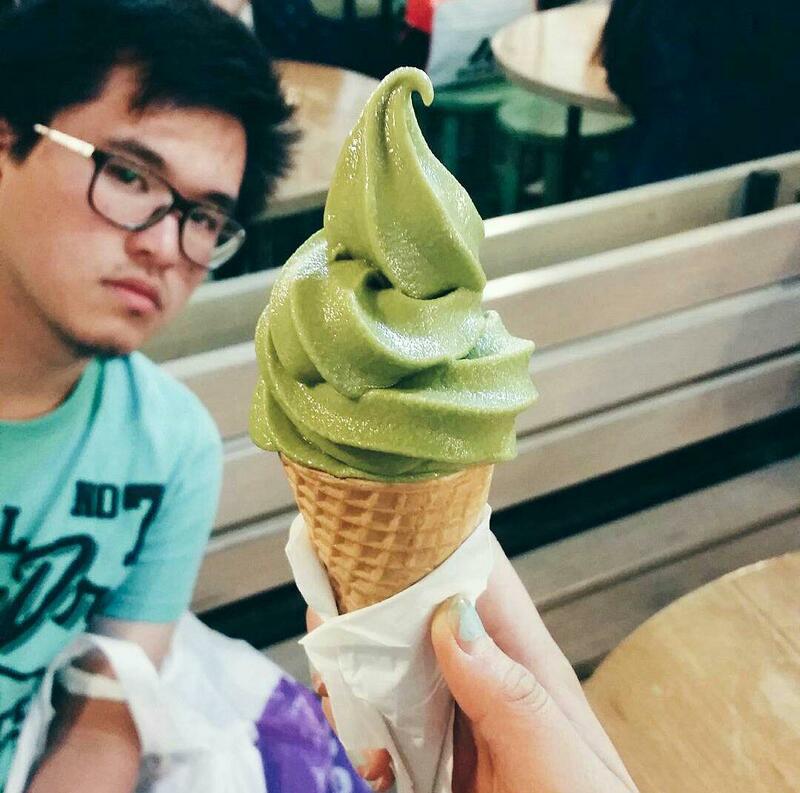 I got the Matcha Soft Serve ($2.90).